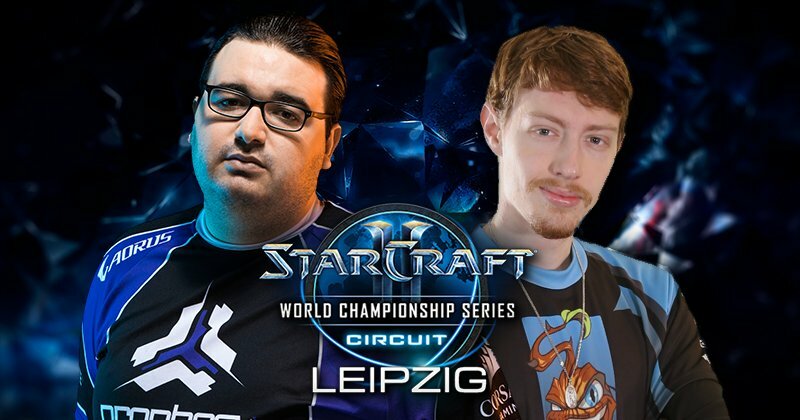 The qualifiers for the first WCS Circuit tournament started last week for Latin America. Two open qualifiers decided the best 16 players that would fight in the group stage for a chance to get into the final bracket. Most of the regional big names managed to qualify while others saw their chances end rather quickly. Argentina very best, furiousEgg, failed to qualify in the first day of the open qualifiers after losing to HalfBreed. He continued his fight on the LB but the bolivian hero, DarkUnnamed, ended his journey. After this painful lose he did not show the next day. The two best players of Bolivia, Dark and DarkUnnamed also failed in their dream to get a chance to travel to Leipzig. Dark was the closest one to qualify in both days, always just one match away to make it. In the first day, Dark lost to Cham in the WB and to JimRising in the LW in the decider series. Having being so close he tried again the next day but this time he lost to the Chilean players Jarppi and Lseba. His countryman, DarkUnnamed, was eliminated by mYi.Smile in the decider match of the LB the second day and before that he was defeated by the also Peruvian Blord in the WB. Finally, the best player of Venezuela, Byrada lost in the second day of the qualifiers after not showing in the first day. Latin America is a region plagued with zergs and in a minor degree with terrans. Protoss is a race almost extinct in this part of the world. Occasionally we see one little protoss making it to the group stage just to be put in the endangered list of species the next day, but this week we saw two of them making it past the qualifiers. Sadly, this was as far as they got but it was nice to have some of Aiur representation. Big props to Pacomike and Darkness for their feat. Although several known players didn’t make it to the group stage, the “big three” did it and this part of the tournament went almost as expected. The three best players of LatAm, SpeCial, Kelazhur and Cham ended first in their groups. Surprisingly, JimRising conceded the top of his group to Jarppi. The Chilean terran have been showing a high level of starcraft lately and maybe this could be his year. The rest of the players who managed to qualify are well known in the region having played Copa America playoffs several times before so it was expected for them to get through. Ryu, the Peruvian living in Italy, is a player who is constantly in the top 8 of the region. Erik, the second best brasilian players, is always a threat to anyone but is still one or two steps behind the best of LatAm. Lastly, Smile, a terran that have brilliant moments but is not consistent enough. With a bracket full of terrans and zergs the matches began and the contenders couldn’t do anything to stop the favorites. Every one of them ended up losing 3-0 with Erik(z) being the only exception. The brasilian zerg took one map from Kelazhur but that was all. The “big three” ended up fighting for the two places for Leipzig with JimRising a little behind of them. 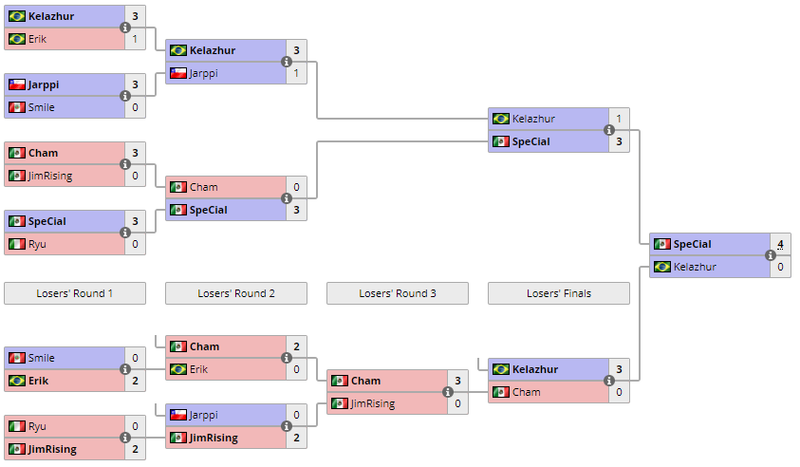 Once again, SpeCial and Kelazhur fought to decide who the best player of the region was and the Mexican showed us that at least in this moment he is ahead of the brasilian, wining 3-1 and 4-0 in the winners and grand finals respectively. Cham came in the third place completing the podium of this tournament after showing a strong ZvZ. The zerg had a difficult day losing to SpeCial and Kelazhur 3-0 and at least in LatAm you need an exceptional ZvT if you want to win anything. Both terrans remain as the strongest of the region with Cham a little behind. The “big three” will probably fight for every WCS event with JimRising being a close forth. This tournament let us with a clear picture of the Latin American ranking right now and it will be hard to see some changes this season. p.s. im trying to improve my writing skills so any advice is welcomed.